Please note we WILL deliver to an alternative address such as your work or a relative so you don't have to take a day off work or have to stay in all day. All of our parcels are discretely wrapped with just your address details on the packaging. Delivery to the UK is free for orders over £150 and if you decide the item you have ordered is not for you we have a free return service for all customers in the UK. Delivery to the Channel Islands, Isle of Man, Belgium, Netherlands, Germany, Denmark and Luxembourg is free for orders over £150. 1. Deliveries are made by APC overnight, Parcelforce, Hermes or Royal Mail. UK SHIPPING IS FREE ON ALL ORDERS OVER £150. 2. You can have your order dispatched to an alternative delivery address but the order must be placed through the website, you can also collect from the courier depot even on a Saturday morning. 3. Deliveries must be signed for by a person of 18 years or older. 4. All items held in stock will be dispatched within 12 hours (not including weekends & Bank Holidays). 5. Please check the product description for non stock item lead time. 6. You must be 18 or over to purchase our products in the UK we will check your age using the electoral roll, if you do not appear we will ask for proof of age. 7. When ordering through the website you will receive an email from Outdoorhobbies on dispatch stating your delivery date and an email from the courier with the delivery reference should you need to contact the courier for help. 8. Orders with the Scottish Highlands & Islands will be sent on a slightly slower delivery service. 9. Orders sent out on a Friday can be collected from the courier depot on the Saturday morning, details will be provided on your notification of dispatch email. 10. You can request a specific delivery day to suit you Monday to Friday (Saturday collection from depot only). 1. Shipping to the Channel Islands, Isle of Man, Belgium, Netherlands, Germany, Denmark and Luxembourg is free for orders over £150. Customers from Non EU countries do not pay UK Tax (20%) you pay the excl VAT shown on the product pages. 2. We are able to send goods almost anywhere in the world but you are responsible for arranging any required paperwork on delivery. 3. We use UPS, Parcelforce and TNT delivery is generally 3-5 days from dispatch. 4. All International shipments are tracked and we provide you with the details to follow online. 5. The delivery charges are clearly shown before you enter your personal and payment details, the shipping prices for most products are shown on the item page. 6. Customers from Non EU countries do not pay UK Tax (20%) you pay the excl VAT shown on the product pages. "I live in New Zealand i ordered a Mission Dagger with some accessories over Christmas period some parts Gary had to order in.The shipping took only 8 days to get here and Gary's prices are very good compared to the prices for same items in NZ so shall be recommending outdoorhobbies.co.uk for price and service". "I have briefly dealt with Gary to replace parts of an item that broke after short usage. He has been most helpful and found ways to accommodate my requests showing a great deal of good will and outstanding customer service. I hope to deal with Outdoor Hobbies again in the future". "Extremely professional and helpful throughout the entire cycle... right from buying to delivery at my house..."
"I admit, I am a customer sometimes complicated! of course, if in the other side (OUTDOORHOBBIES) you find someone with patience and professionalism, they will take way your doubts, and your demands will be realized. thanks for everything." 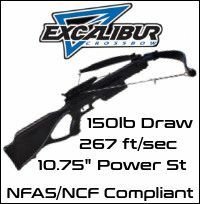 "The best company for buying crossbows ,many brands ,friendly very fast delivery and very good prices .Highly recommended." "Best service I have had on the internet in a very long time. 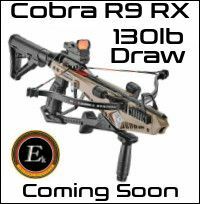 Crossbow arrived in shorter time than from U.S. west coast. Well packaged. People could not have been nicer." "Thanks for great bow and the good service,and fast delivering,i Will recommend your company to my friends". 1. Should you be unhappy with your purchase please return unused within 14 days of receipt and we will refund your product cost in full. 2. All returns must be approved by Outdoorhobbies Limited. Please contact us by either phone (0800 1950253/01423 550038) or email for a returns number that must accompany your returned items you will then be given the returns address details. 3. If we are unable to repair or replace a faulty item an alternative will be offered. 4. All items and accessories must be returned for a full refund. 5. The returned items should be well packaged and protected from further damage. 6. We will arrange collection of faulty goods at our expense (UK only all items must be packaged into 1 box for return). 7. Returned items must not have been modified, adapted or their appearance changed in any way. 8. In the event of an exchange the goods must be returned before the exchange items are shipped.